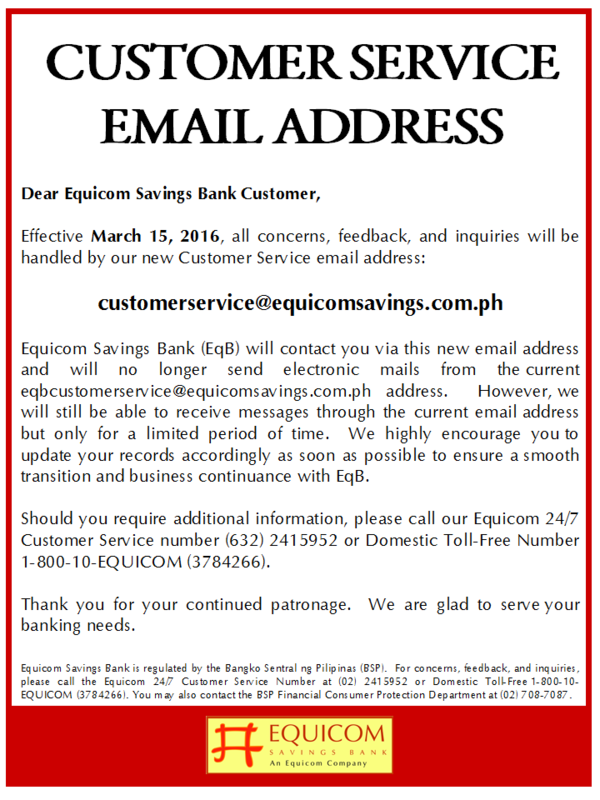 The EqB Payment Deals program is from January 1 to March 31, 2010. 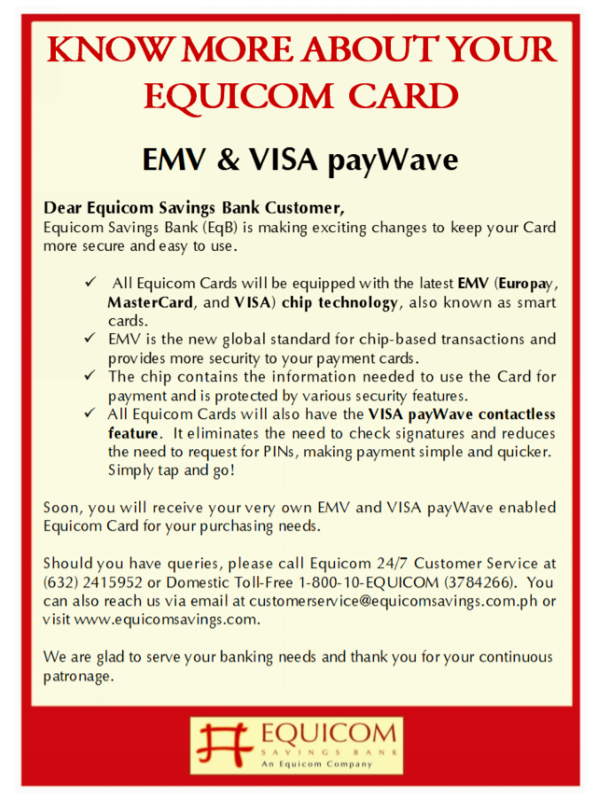 The EqB Payment Deals Program is open to all active and current Equicom Credit Cardholders with good credit standing. 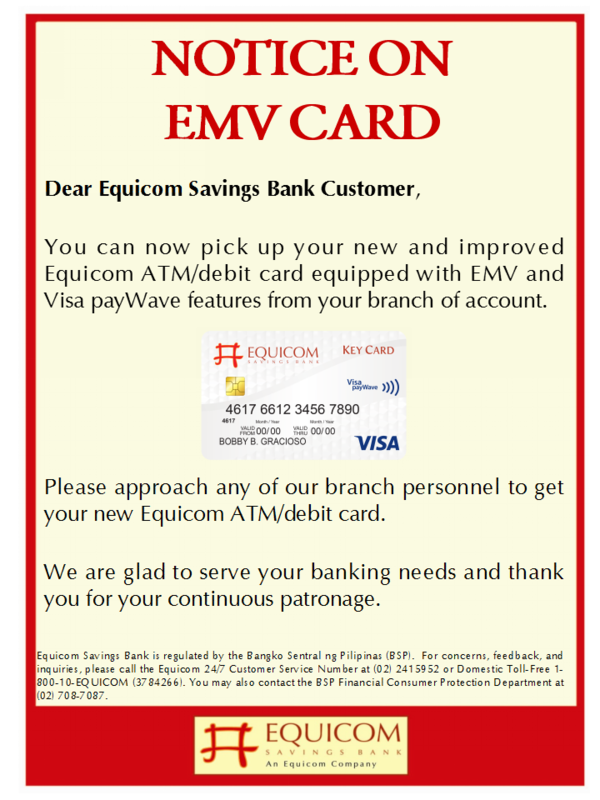 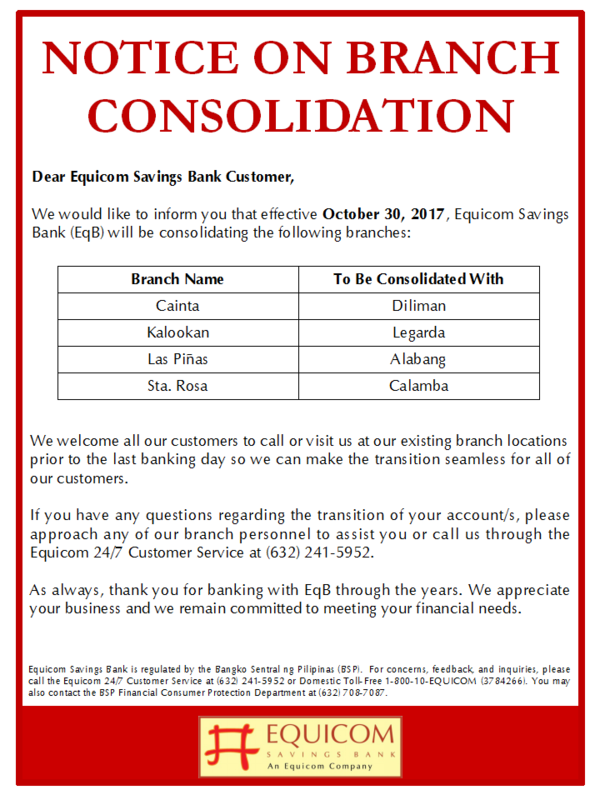 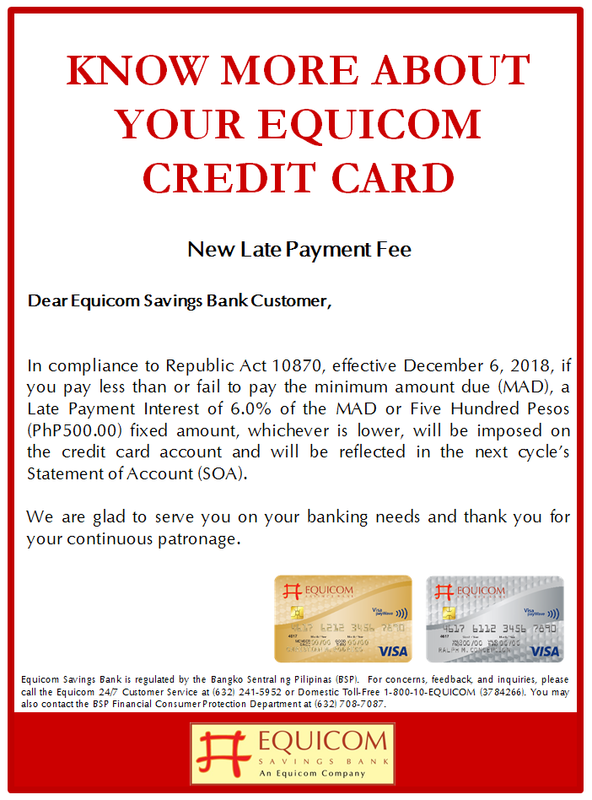 Equicom Credit Cardholders with an accumulated purchase of P5,000.00 may opt to convert their straight purchases to affordable monthly installments provided that the monthly amortization is within available credit limit. 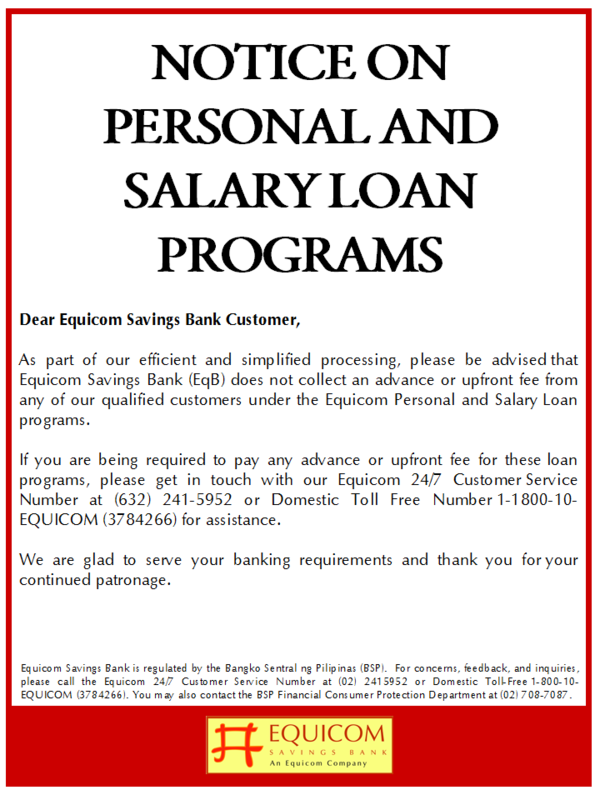 The net amount should be within the available installment line at the time of availment. 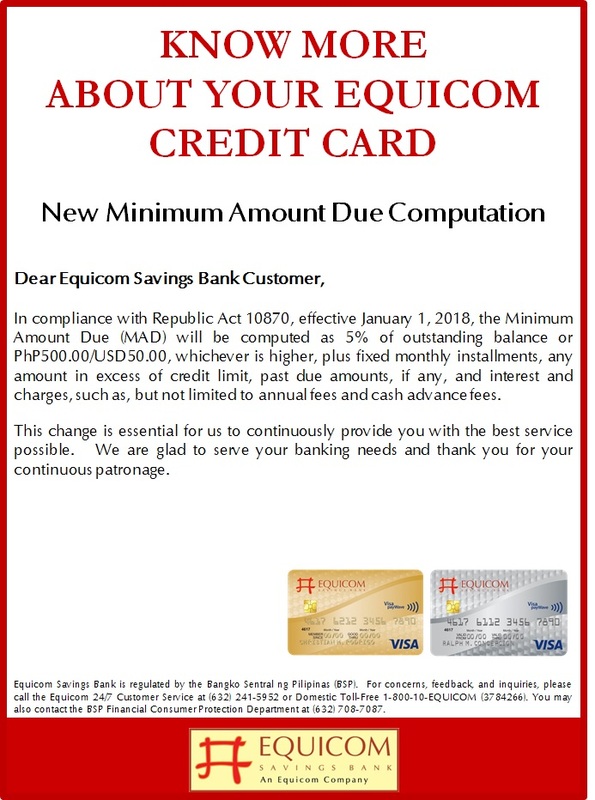 Equicom Credit Cardholders may convert their straight purchases to installment at anytime within the promo period provided that the straight purchases are made 1 month prior to the request and has been posted to their accounts. 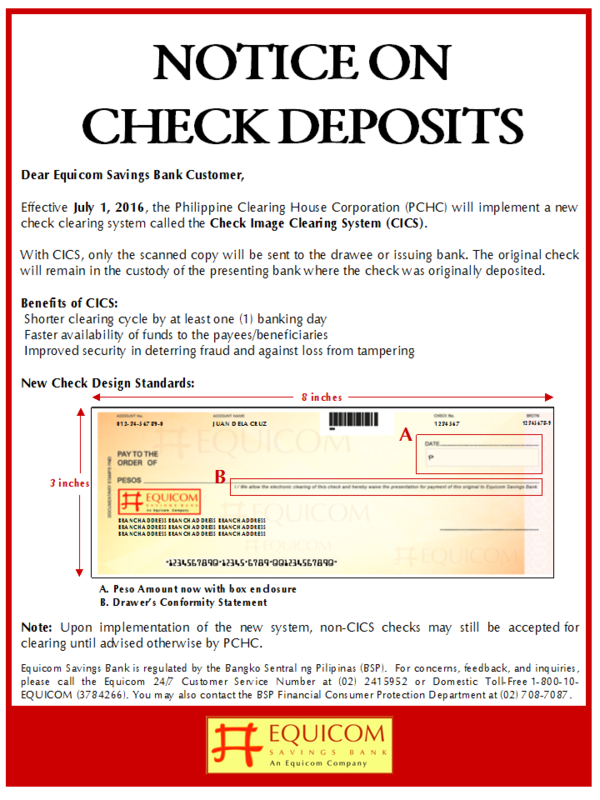 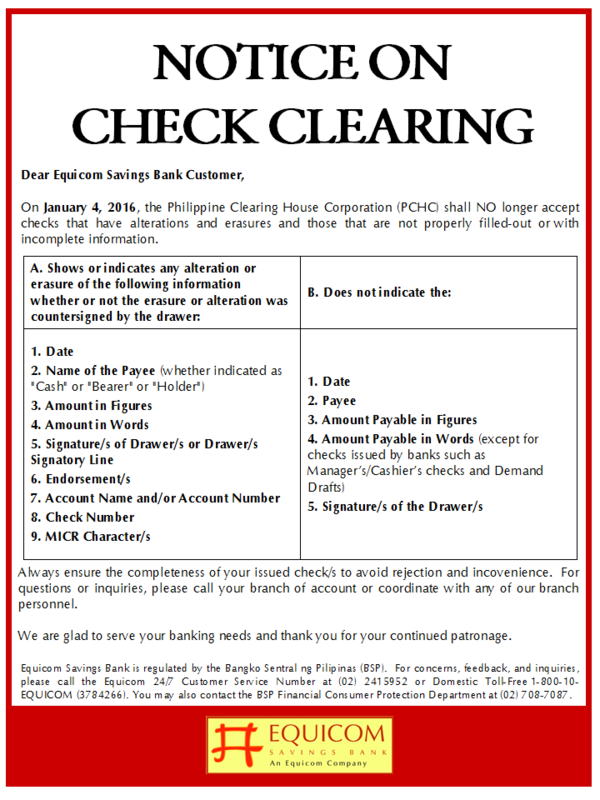 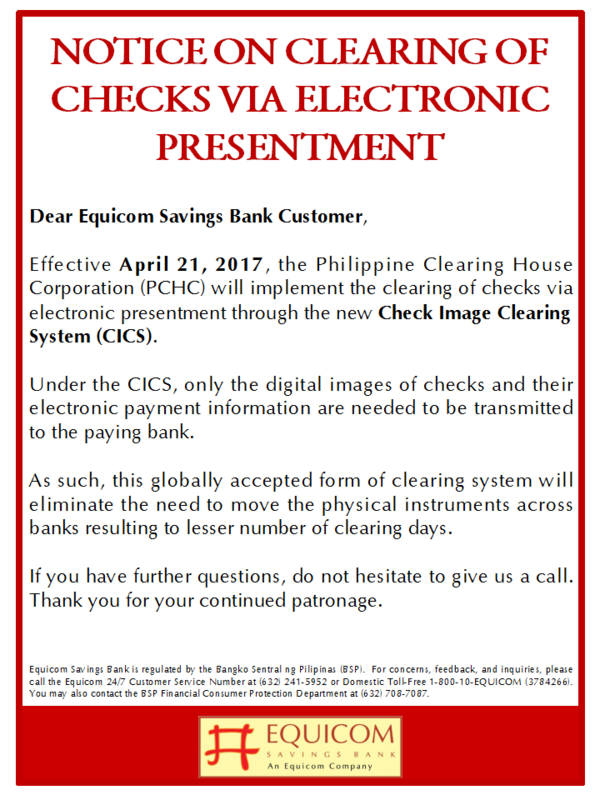 The duly accomplished EqB Payment Deals Program form must be submitted via fax to the EqB Hotlines at (02) 2415952. 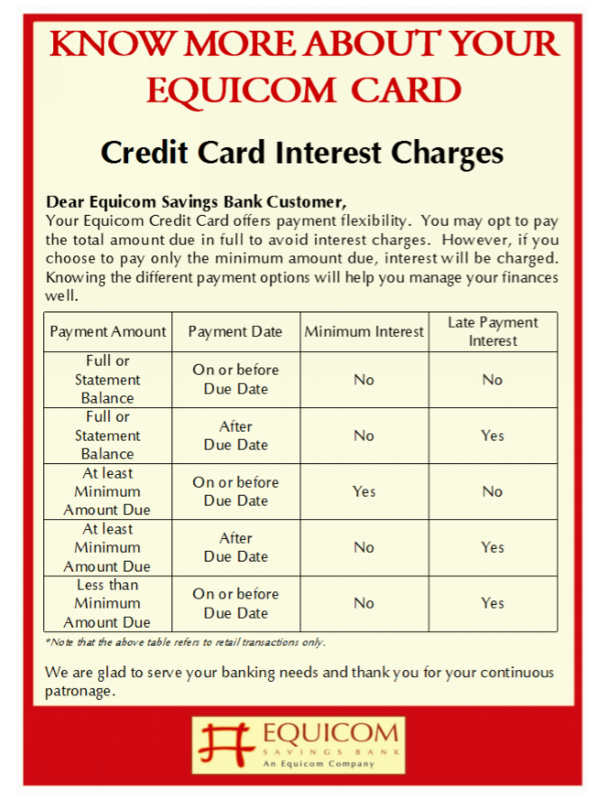 When converting straight purchases to instalments, the regular credit limit corresponding to the amount converted shall be made available for use. 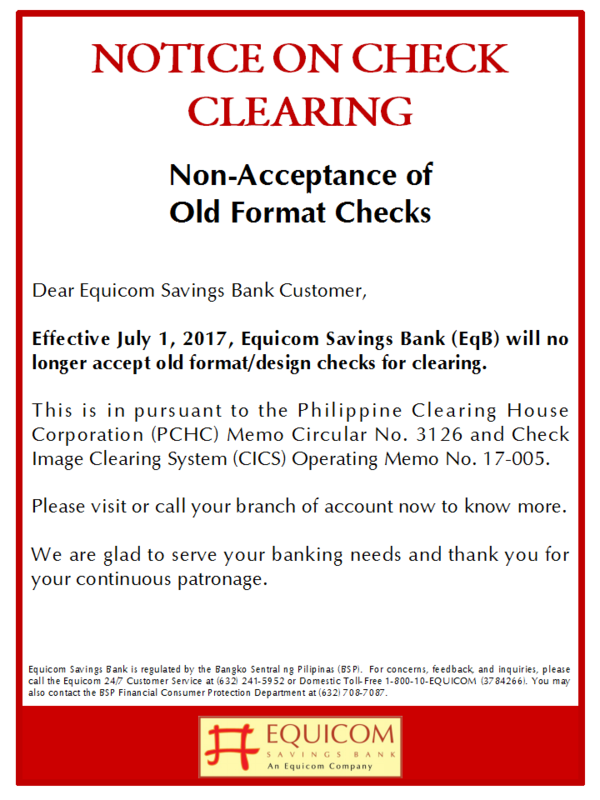 A pre-termination fee of 5% based on the remaining unpaid principal balance shall be imposed in case of pre-termination. 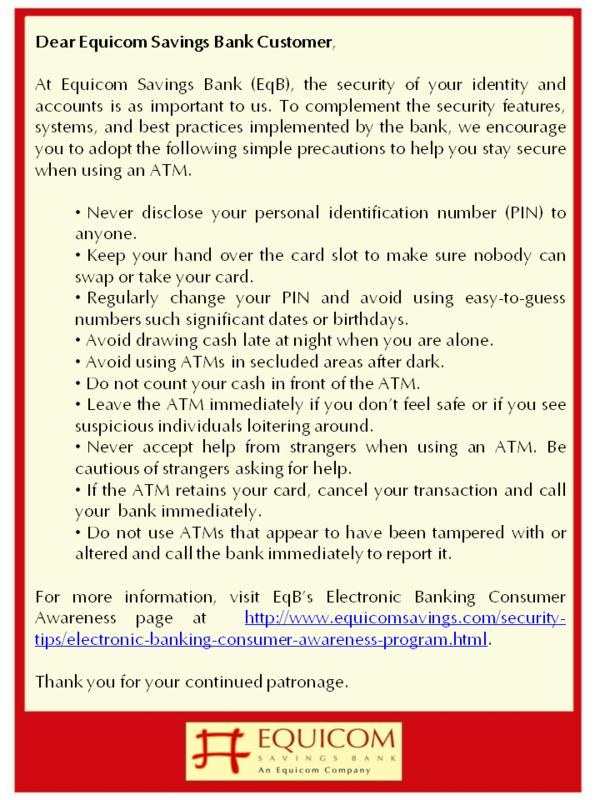 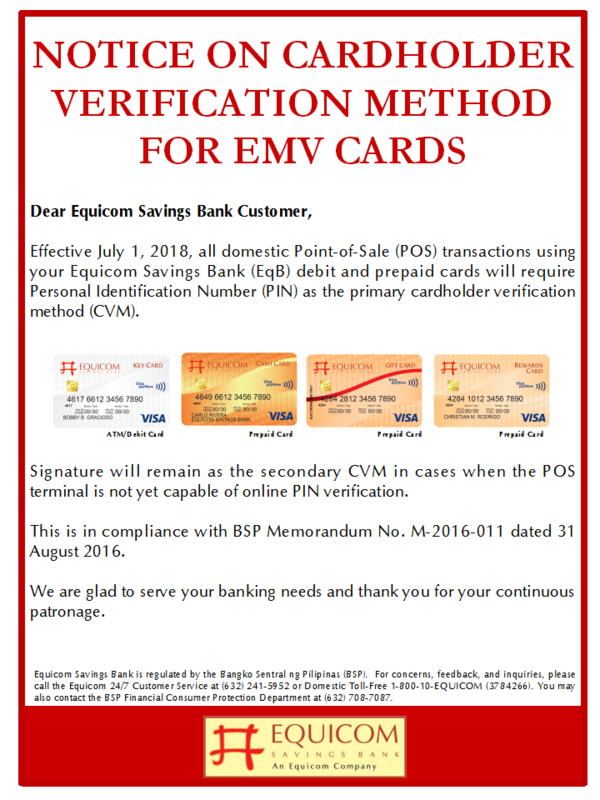 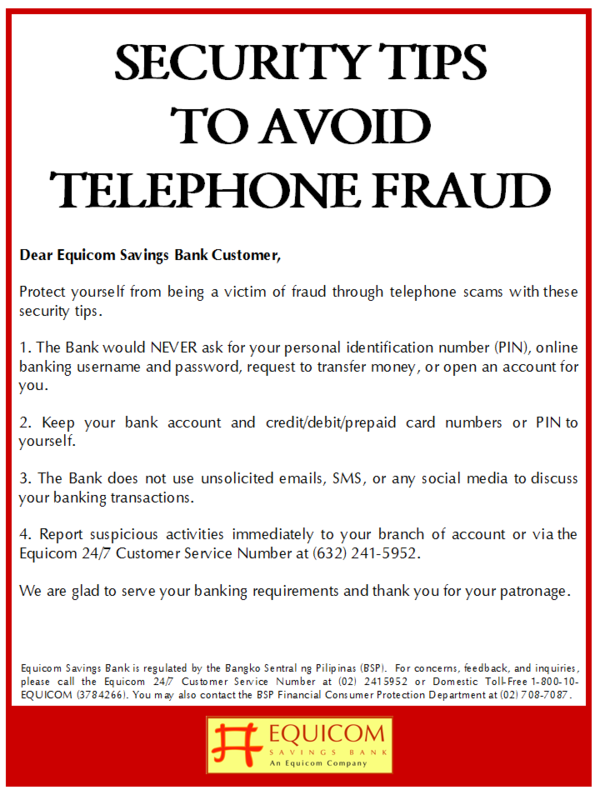 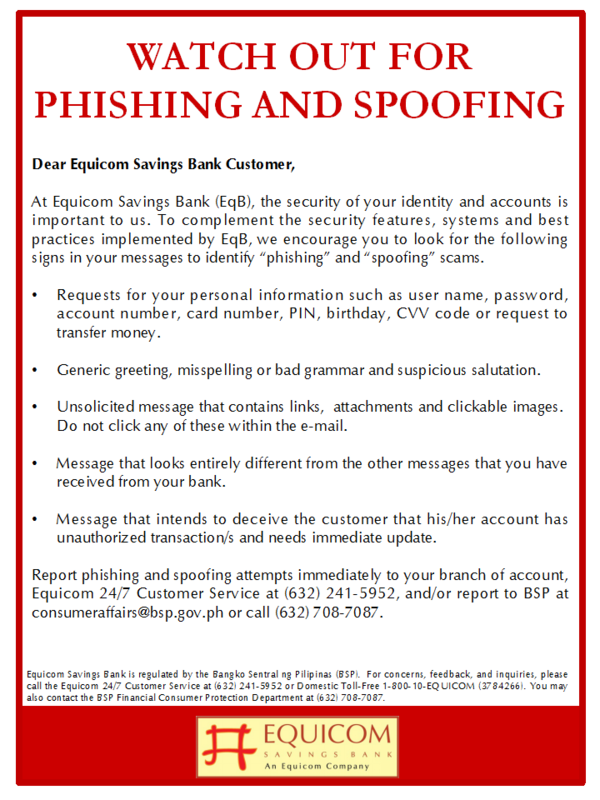 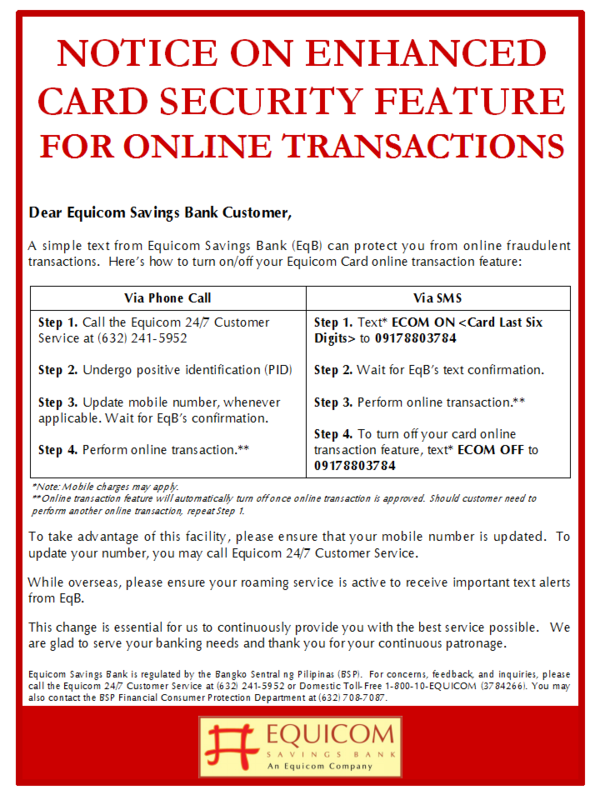 EqB Payment Deals transactions are not eligible to earn Equicom Key Points. 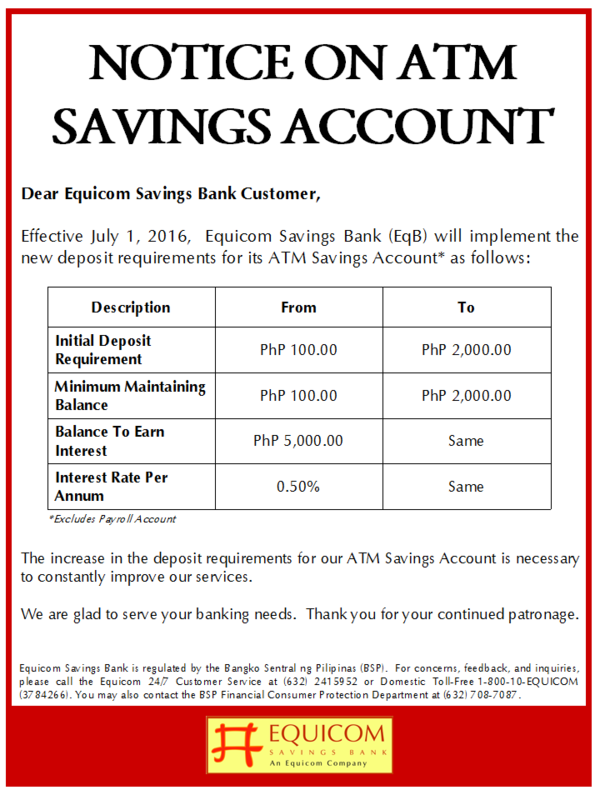 If only a portion of the monthly amortization is paid, corresponding finance charges will apply. 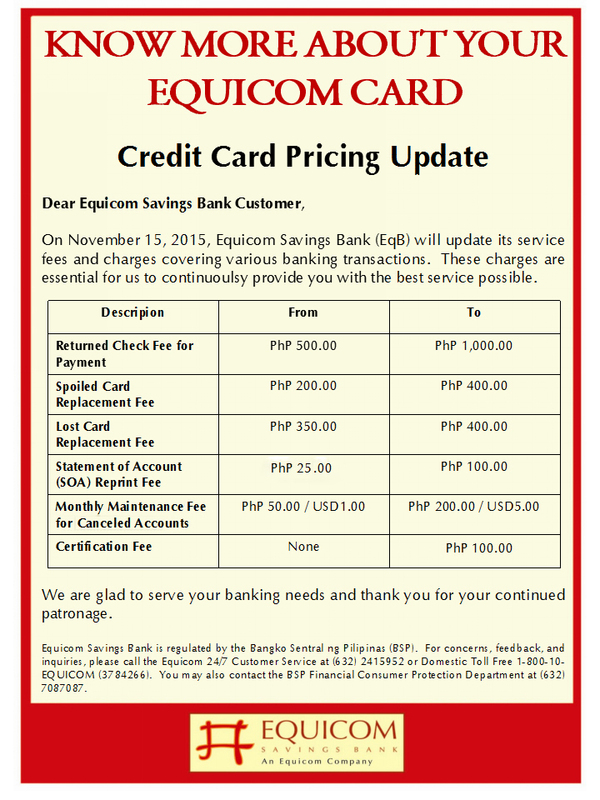 If the cardholder pays below the minimum amount due or pays late, corresponding late charges will apply. 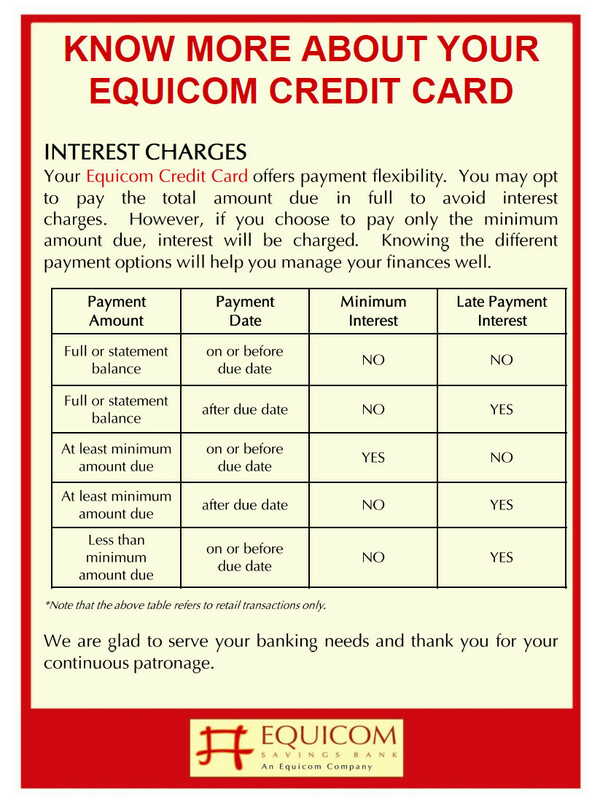 EqB shall have the absolute exclusive right to approve or reject EqB Payment Deals Program applications based on its internal policies or for reasons it deems justifiable. 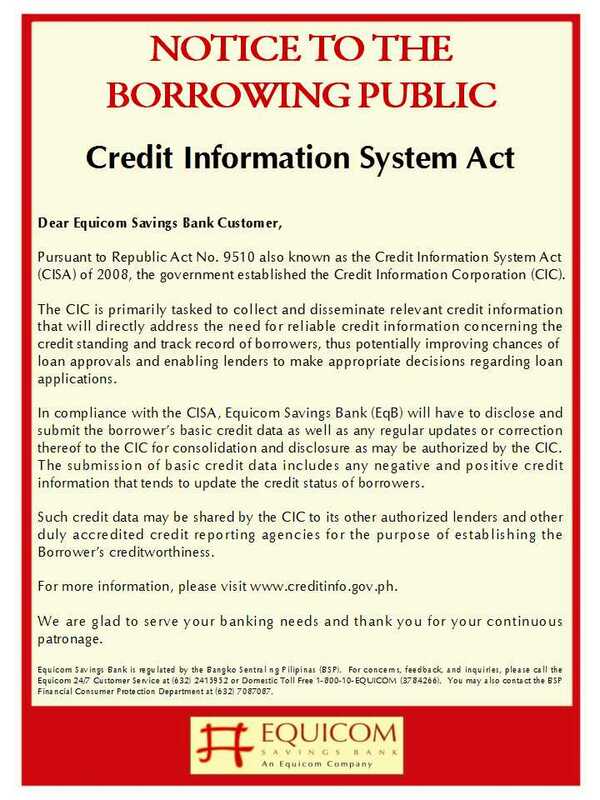 Thus, if the cardholder has no sufficient available credit limit, EqB has the sole discretion to approve only a portion of the amount applied for.